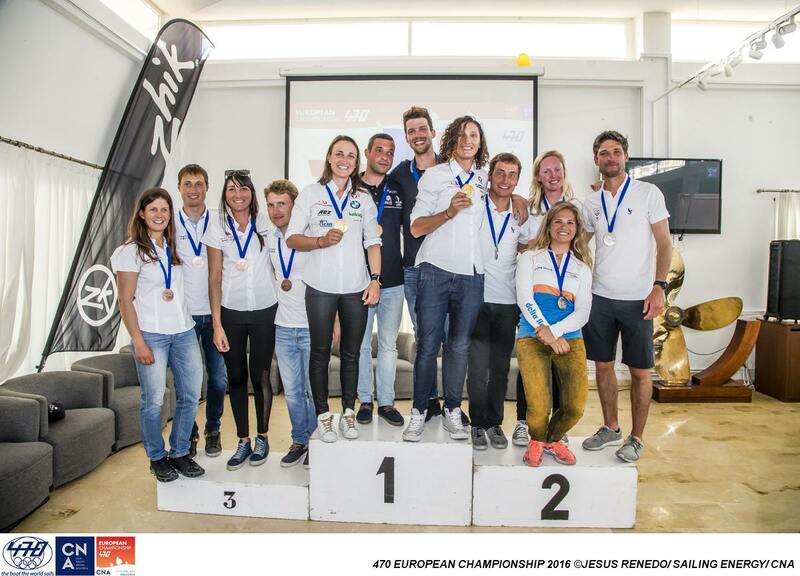 Racing at the 2016 470 European Championships gets underway on Thursday 7 April at Club Nautic Arenal, Mallorca. The 2016 470 European Championship marks the largest event for teams in the final countdown to Rio. For some it will prove to be the most significant. An assault on the leaderboard is always the goal, but equally testing, training and improving is in the game plan for those heading to Rio 2016. For others, the critical matter of national selection for Rio is still at stake, and for many but not all the 470 Europeans is the final performance marker. 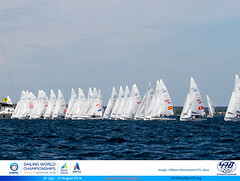 Fresh off the back of Trofeo Princesa Sofia, 470 sailors will again face the challenges of racing on the Bay of Palma. Teams absent from the Trofeo have arrived to join the European Championship fray, featuring a massive depth of talent drawn in from 33 nations around the world. The big stars of the 470 Class, counting Olympic and Championship medals to their credit, through to the new kids on the block racing their first ever 470 Championship. Over 250 sailors will be on the 470 Men and Women starting lines when racing kicks off at 1200 hours on Thursday 7 April. 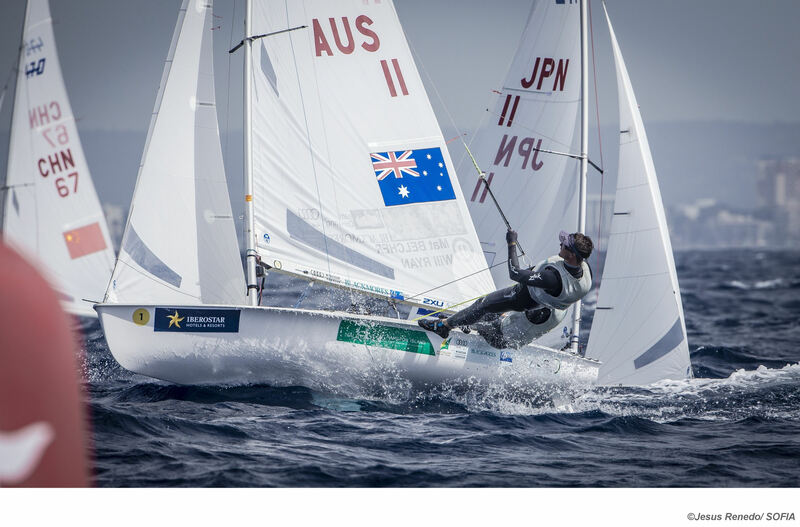 Six days of racing, 11 scheduled fleet races and 1 double points medal race lie ahead. Croatia’s Sime Fantela/Igor Marenic did just that, seizing gold and breaking the run of World Championship victories held by Belcher since 2010. 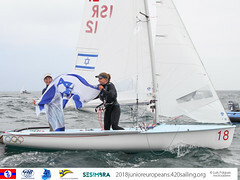 An icon of 470 sailing, Belcher’s three 470 World golds with Will Ryan in 2015, 2014 and 2013, were preceded by three victories with former crew Malcolm Page. And of course London 2012 Olympic Gold with Page. A palpable sense of anticipation ahead of this last major gathering before Rio is heightened by knowing an opening at the top is always possible, particularly as the Croatians have proved so recently to themselves and the rest of the fleet that the Australians can be defeated. 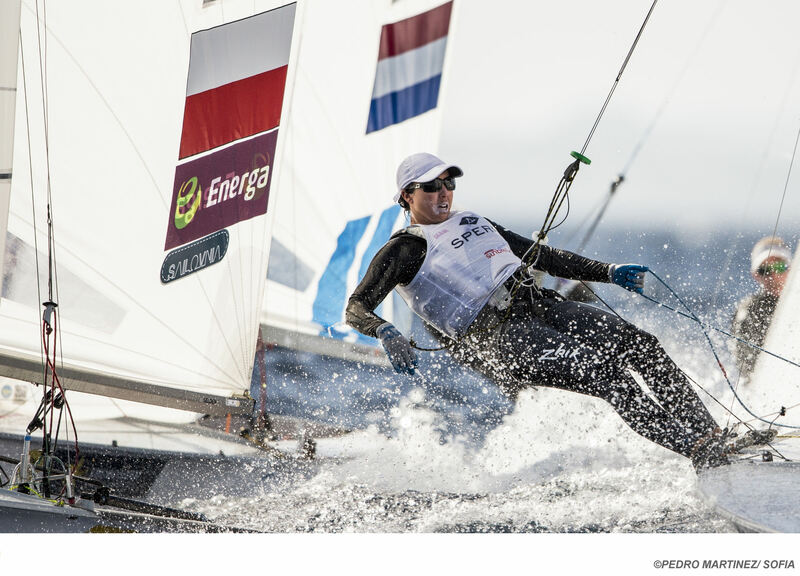 After the exhilaration of winning gold, Fantela is now focused back on the main target, “We had two main goals this year, 470 Worlds and Olympic Games. We are happy to accomplish perfectly the first one and after two weeks relaxation and enjoying the success of winning a second world title, it’s now back to work, back to fitness and on-water training. “We know we can beat them in a major Championship,” added Fantela referring to Belcher and Ryan. “This was a motivation and confidence boost. Now we are back to our routine and we know our formula of training building up to the big events is good. So we will just stick to that and try to do it again this Summer,” he smiled modestly. 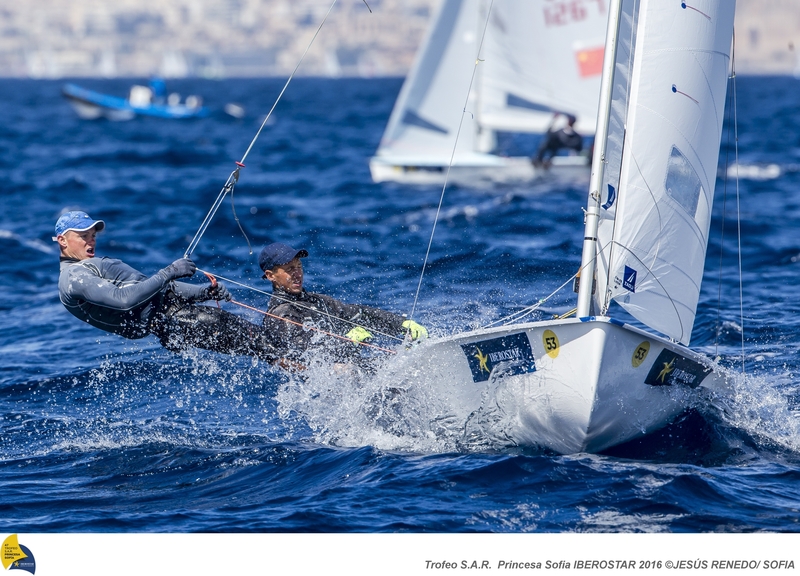 The world #1 pairing Belcher/Ryan trumped the fleet with a race to spare at Trofeo Princesa Sofia last week, and are super experienced on the tricky waters here. An interesting clash of titans is set to unfold. 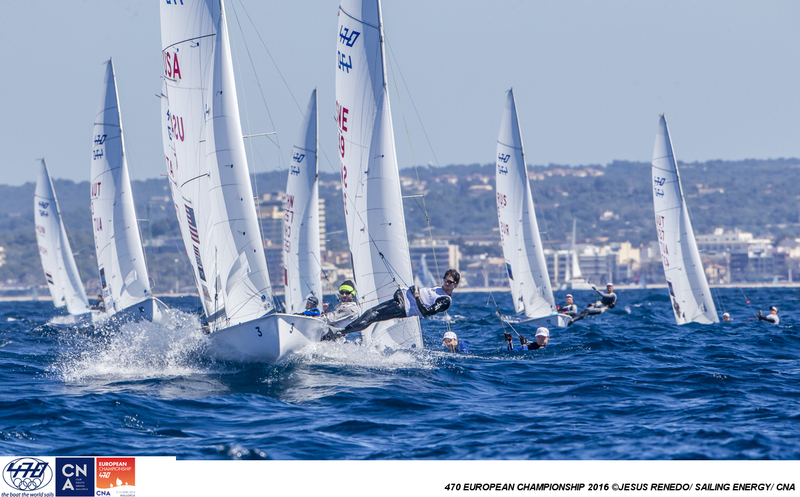 The USA’s Stu Mcnay/David Hughes won the 2015 470 Europeans and are as able as any of the other top teams to repeat their podium finish. Similarly, Greece’s Panagiotis Mantis/Pavlos Kagialis who wrapped up last year’s Europeans in fourth place are on form. More importantly for them though, the Europeans mark Greece’s final test to decide the Olympic team. Mantis/Kagialis carry a big lead over rivals Panagiotis Kampouridis/Efstathios Papadoupoulos and it will take a significant reversal of fortune to unseat them. This time four years ago though, it was Kampouridis/Papadoupoulos who took the ticket to London 2012. Amongst others for whom the Road to Rio will be made or broken here are the young Spanish talent of Jordi Xammar/Joan Herp, who are in battle for national selection against the more experienced partnership of Onan Barreiros/Juan Curbelo. 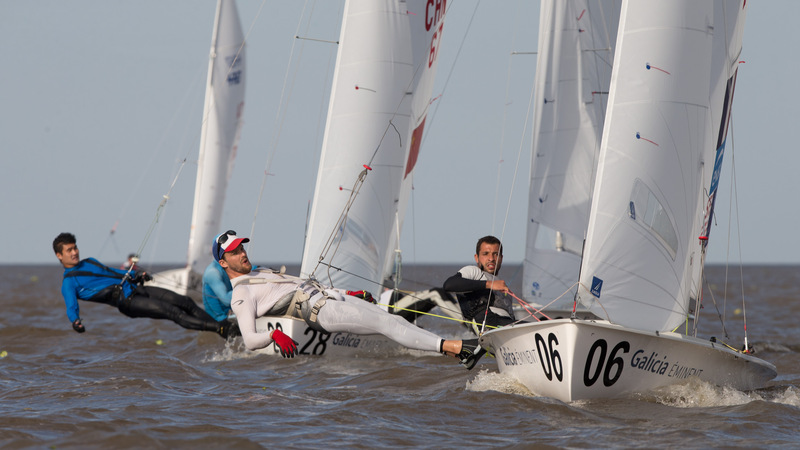 Conversely, after their bronze medal performance at the 2016 470 Worlds, the world #5 ranked French pair of Sofian Bouvet/Jeremie Mion are safe in the knowledge of making their debut Olympic appearance in Rio. 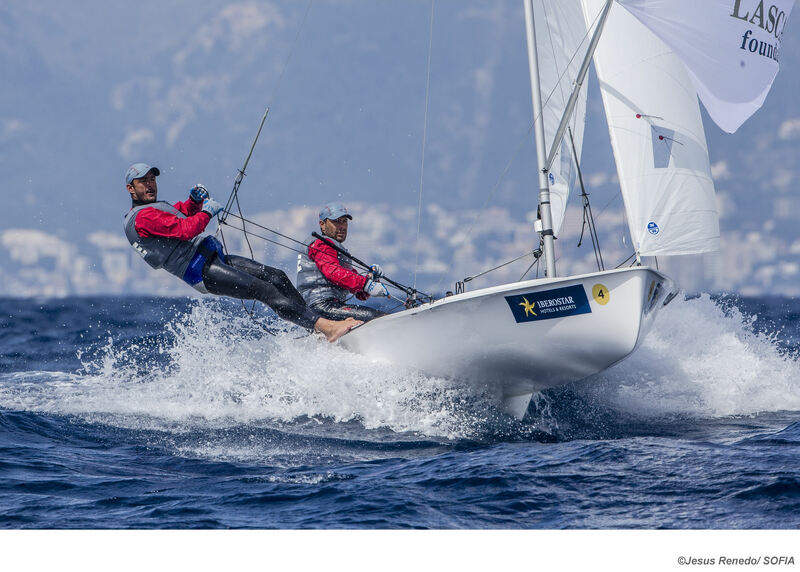 They have served a long apprenticeship, winning both the 2009 and 2010 470 Junior Worlds and Junior Europeans, and years racing in the senior fleet before their moment of glory has arrived. 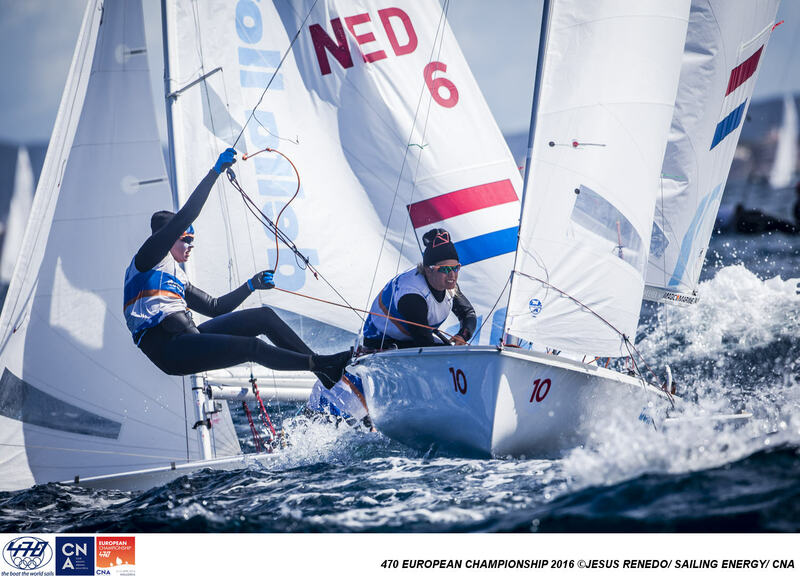 The French pair’s former performances at European Championships include second behind Belcher/Ryan at the 2013 470 Open Europeans, and gold as the top European team. Looking at some of the teams whose focus is now shifting further ahead to Tokyo 2020 are Italy’s Matteo Capurro/Matteo Puppo. They were the closest hope of claiming their nation a place to Rio during last week’s European Olympic Continental Qualification event, Trofeo Princesa Sofia. A tiebreak decider in favour of the Ukraine was a tough pill for the Italian pair to swallow. Italy’s Rio 2016 Olympic dream is not yet over though, as if one of the currently qualified nations does not take up its slot, the place will go to the next unqualified nation based on the 2015 470 Worlds results. If this happened, the next nation spots would be in order of Belgium, Italy and Portugal and then rolling down to others. So, performance all the way is critical, with six Italian teams in the starting line-up. Seventy teams representing 28 nations are competing in the 470 Men. A perfect year so far for France’s Camille Lecointre/Helene Defrance as the partnership won the 2016 470 Worlds and with it secured the nod to represent their nation in Rio. World #1 and#2 teams, Hannah Mills/Saskia Clark (GBR) and Jo Aleh/Polly Powrie (NZL), are not competing as they focus on their Olympic preparations in their home nations. But every one of the other top twenty world ranked 470 Women teams are in the mix. Defending 470 Women European Champions Tina Mrak/Veronika Macarol from Slovenia have returned to the fighting ring after what for them were disappointing performances at the 2016 and 2015 470 Worlds, finishing 32nd and 13th respectively. This drop in form, compared to their victory at the 2015 Europeans, was reversed at last week’s Trofeo Princesa Sofia. Another indicator of form comes from winners of Trofeo Princesa Sofia, Agnieszka Skrzypulec/Irmina Mrozek Gliszczynska (POL), as they secure yet another climb up the 470 Women hotlist ahead of their Rio appearance. “When we follow our results from last year to this year, we are moving just small steps,” explained Skrzypulec, before adding with a laugh, “But now we have destroyed our plan! We were supposed to finish 4th at Trofeo Sofia so we could finish first in Rio. Everything was set for it! Last month the pair finished 5th at the 2016 470 Worlds, wrapping up with an all-important win in the Medal Race. The USA’s Annie Haegar just picked up the US Rolex Yachtsman of the Year Award, in recognition of her impressive list of top results with Briana Provancha. Critically counting in their achievement tally was winning the 2015 Rio Test Event. Here the pair face team mates Sydney Bolger/Carly Shevitz in the final shot at USA national selection, sitting ahead after a 6th place at the 2016 470 Worlds. The world #6 pair has massive experience racing in the Bay of Palma, but still spent time to reacquaint with the venue. 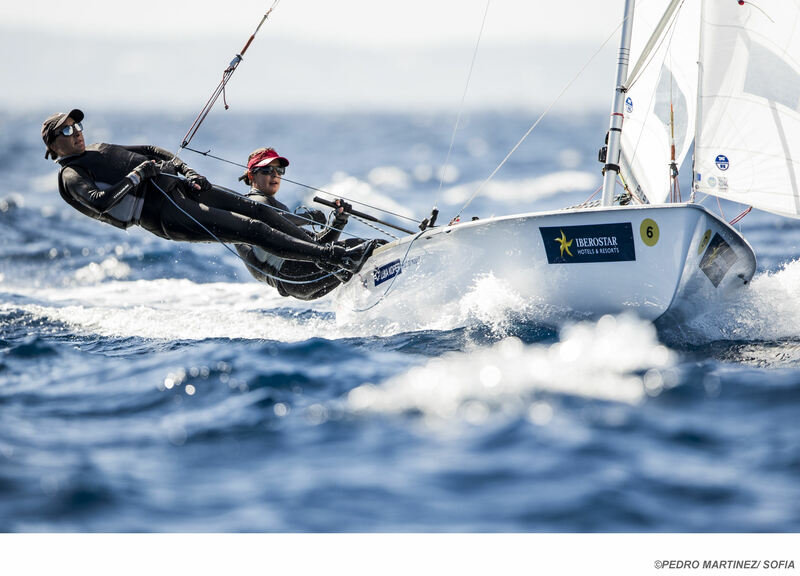 They withdrew from racing at Trofeo Princesa Sofia after six races and a perfect day 3, to focus on the Europeans. Training, training and more training is the mantra Austria’s Lara Vadlau/Jola Ogar follow as they rack up more hours on the waters of Rio than most probably any other 470 Women’s team. After claiming the bronze medal at the 2016 470 Worlds in Buenos Aires, the world #4 team hot-footed it to Brazil for another training camp. “It’s like an exam for school. If you know you’ve learnt the most then it is all about feeling prepared. We try to spend as much time as we can in Rio and we will see,” said Vadlau. 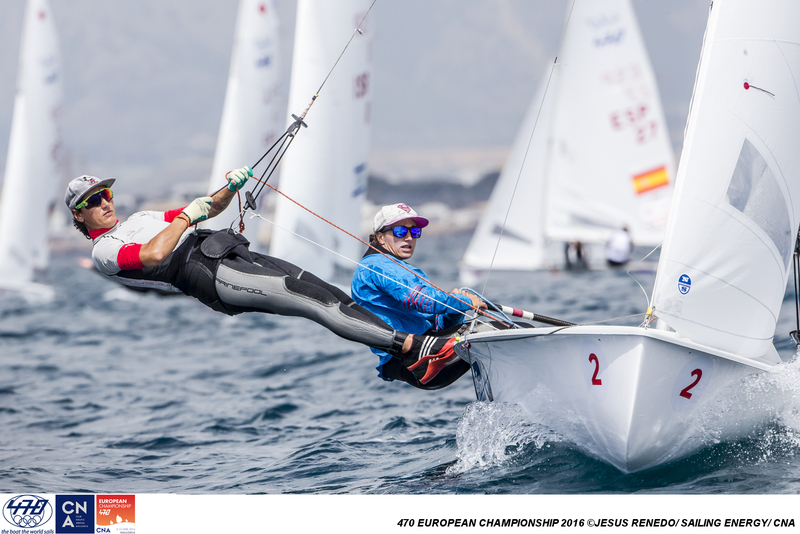 From the hugely experienced to the new kids on the block and Spain’s Silvia Mas, winner of the 420 class at the 2014 ISAF Youth Sailing World Championships. Speaking on her swift journey from winning the 420 girls event at the 2014 ISAF Youth to competing with the world’s top 470 sailors and a shot at Rio 2016 selection, Mas said, “Everything happened in a very short time. We have been sailing the 470 for just over a year,” she said in reference to the partnership with Paula Barcelo. “So it is amazing that I won the Youth Worlds and now after a lot of preparation and hard work we have the chance to fight for the Olympic slot. “It is all about dedication. It is down to training and our passion for sailing. It is like a job, but if you live it you do it better, which is key for improving more,” she concluded. Of the seven Spanish teams competing here, current leaders in the national selection for Rio 2016 are Barbara Cornudella/Sara Lopez after their 10th place finish at the 2016 470 Worlds. 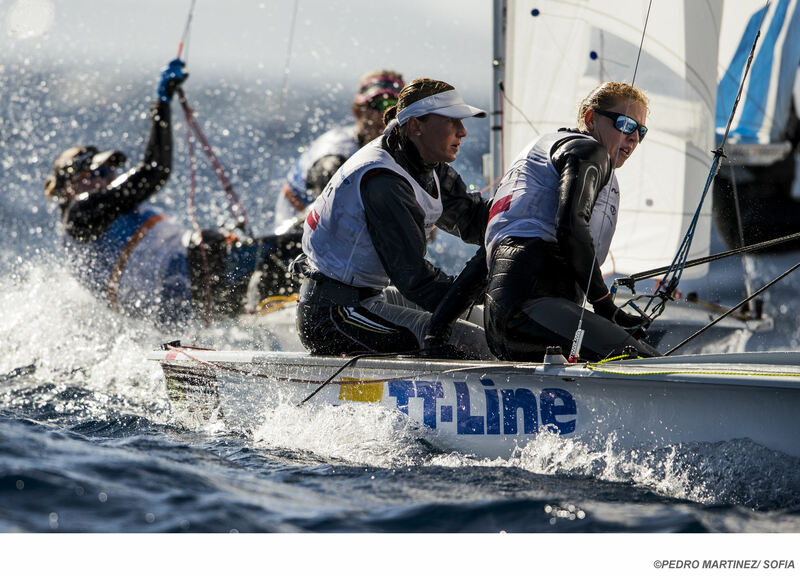 Fifty seven teams representing 24 nations are competing in the 470 Women fleet. 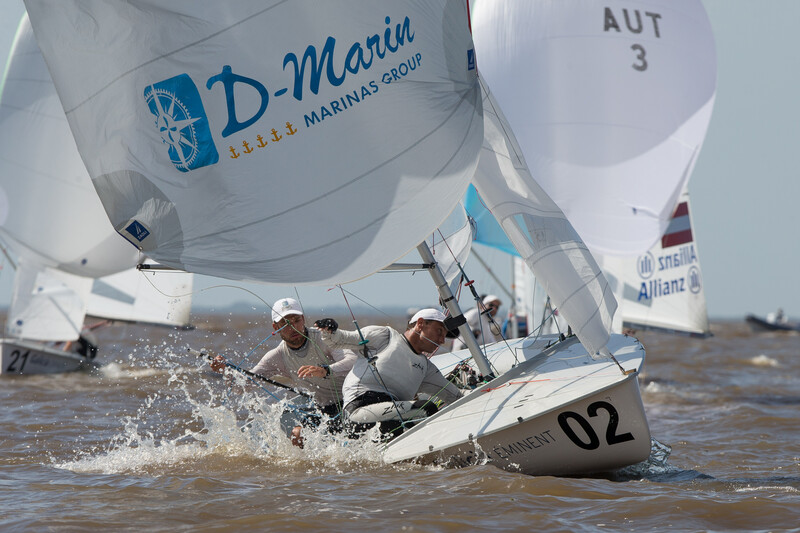 The 2016 470 Open European Championships is organized by Club Nàutic Arenal in co-operation with the Real Federacion Espanola de Vela and the International 470 Class Association. 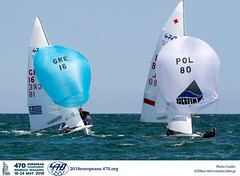 The racing format is an 11 race series scheduled for the 470 Men and 470 Women fleets, with 5 qualifying series races, before the gold and silver fleet split for the 6 final series races. The top 10 teams will then advance to the final Medal Race on Tuesday 12 April 2016. 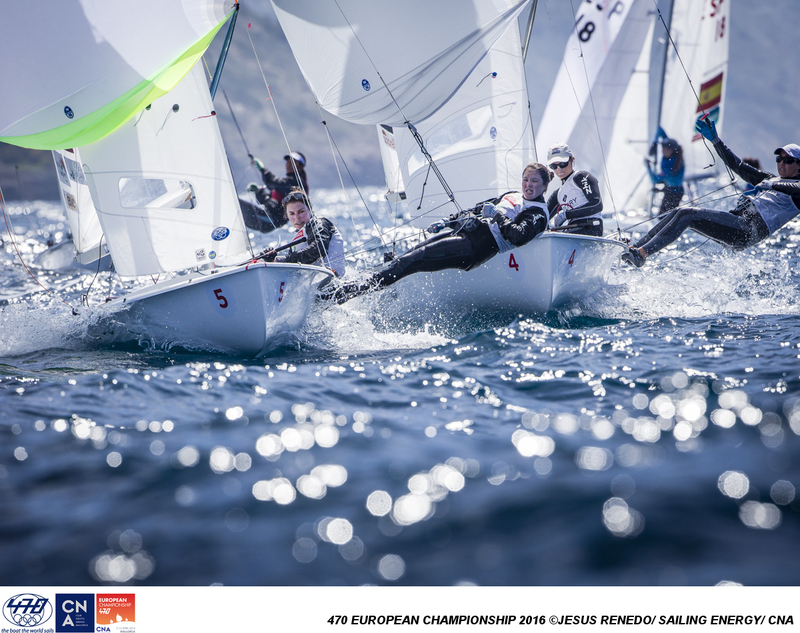 Titles will be awarded in the 470 Men and Women for the overall Open European Championship leaderboard and the European Championship for European nations. Nations represented at the 2016 470 Open European Championships are: Argentina, Australia, Austria, Brazil, Canada, Chile, China, Croatia, Estonia, Finland, France, Great Britain, Germany, Greece, Hungary, Israel, Italy, Japan, Korea, Malaysia, Netherlands, Poland, Portugal, Russia, Singapore, Slovenia, South Africa, Spain, Switzerland, Sweden, Turkey, Ukraine, United States.